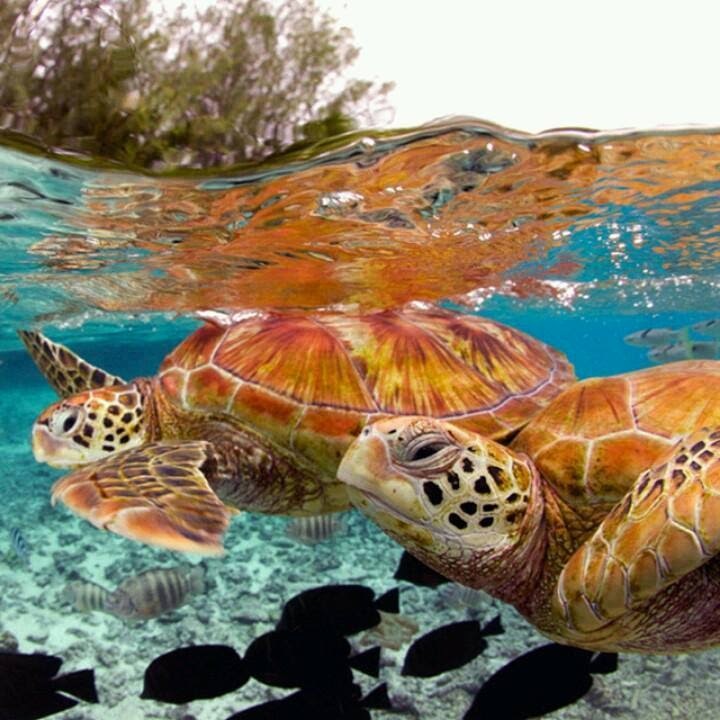 Home » bora- bora » turtle » Another one from our all time fav travel destinations, Pofai Bay, Bora Bora. Another one from our all time fav travel destinations, Pofai Bay, Bora Bora. MatiraBeach is an exquisite beach of white sand on the southern part of the island of Bora Bora. When you see this piece of paradise, you will understand why it is the most popular public beach in Bora Bora. It stretches from the hotel Bora Bora (currently closed for renovation) to the beach Matira Beach, which is covered with palm trees and lush green hills. Each side also has bands of private beaches. On the east side, there are several four-and five-star resorts of Bora Bora (Pofai Bay) from which you can get a magnificent view of the beach. Le Moana Intercontinental Bora Bora Resort is just across the street. This authentic charm of Polynesia, with easy walking distance to the largest beach and nearby shops and cafes. Luxury Intercontinental Resort & Thalasso Spa has a dock, so that guests can enjoy the lagoon.